MβTK™ stands for MANUKA OIL ßeta TRIKETONES. The unique growing conditions of New Zealand’s East Cape have created an exceptional essential oil found in the leaf of the Manuka tree. Manuka oil, with very high concentrations of naturally occurring ß-triketones (MβTK™) is labelled with the MβTK™ quality mark to assure you of its authenticity and quality. The MβTK™ grading system has been created to allow customers to quickly identify the levels of β-triketones in each Manuka oil product they purchase. Oil extracted from Manuka harvested from the East Cape in New Zealand is high in natural β-triketones, demonstrated in the scientific literature and research findings throughout this website. 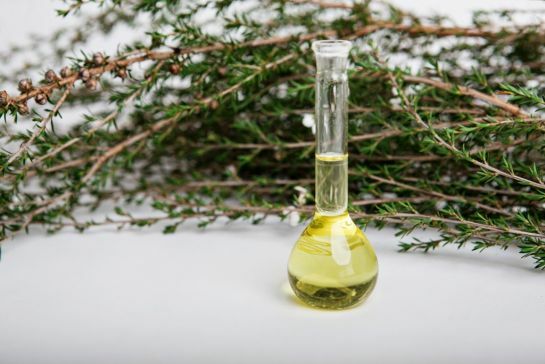 When buying an MβTK™ rated oil you can have total confidence that the product you are buying is 100% authentic, contains the levels of β-triketones stated on the label, and is produced under the strictest quality guidelines. Look for the MβTK™ quality mark. The MβTK™ quality mark means you’re buying the purest, highest quality, 100% authentic, New Zealand-sourced Manuka oil with scientifically proven levels of MβTK™. There are several grades of MßTK™ - find out what the differences are here. If you have any questions or would like to find out more please feel free to use our contact and enquiry form. Thanks for subscribing to our MBTK eNews! We will keep you updated on our programme and any new research or information available as it comes to hand.